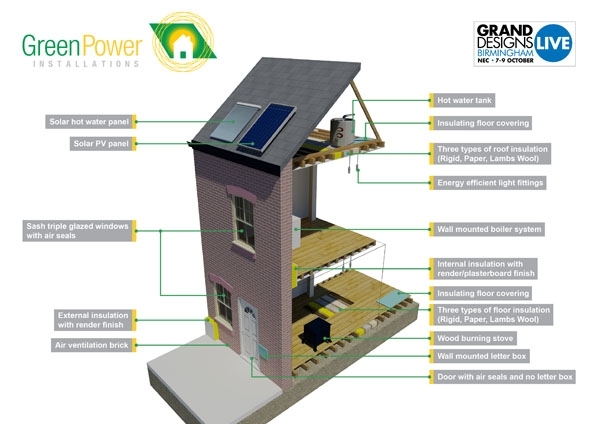 Just over one week to go until we’re appearing at Grand Designs Live 2011 with LILI (Low Impact Living Initiative) and partners! And right now, we’re busy building our exhibition stand – a green home, featuring all the latest and greatest in eco-friendly fixtures and fittings. It’s designed to help you discover greener ways of living and working, and we’ll be on hand to talk you through different options for different budgets. There’ll be something for everyone. Plus, we’ll be giving away loads of free advice on how to green up your home.